The Pope has been celebrating midnight Mass at Saint Peter's Basilica in the Vatican. 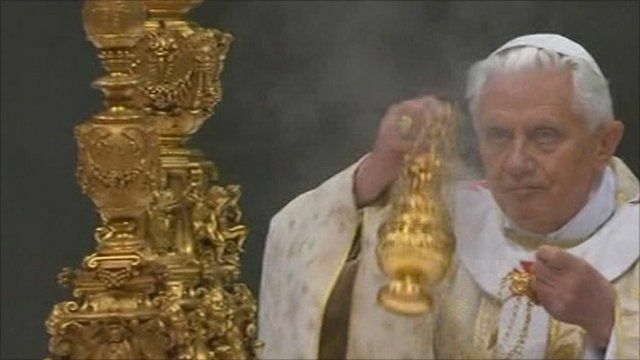 Pope Benedict XVI prayed for peace as he led the world's Roman Catholics into the Christmas period. There was heightened security following parcel bomb attacks at two embassies in the Italian capital on Thursday.